Sorry we haven’t posted any updates for awhile but not much has been going on. We are still in Stuart, FL. waiting on” our ship to come in”, that is the ship that will transport Idyll Time to the Pacific North West. Idyll Time should arrive to Victoria, B.C. around The end of May. The ship she will be on will make stops in Golfito, LaPaz, and Ensenada, Mexico unloading and loading other boats. After unloading boats in Victoria the ship will then travel to Yokohama, and Hong Kong. 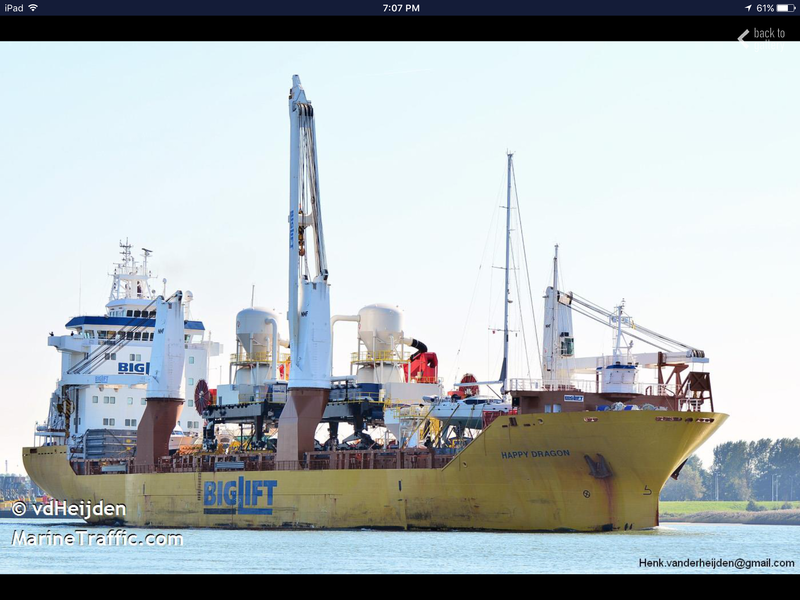 Boats are just the icing on the cake for these “big lift “ ships. Underneath in the holds will be other cargo that is being transported.. We should be able to follow Idyll Time during her voyage using an app called Marine Traffic. This app allows one to follow all types of ships and boats during their transit using AIS . I am sure we will be a little nervous until the ship arrives in Victoria and IT is safely unloaded. The whole shipping process is kind of scary. The marine shipping contracts are based on old maritime law. Under these contracts, the shipper is responsible for absolutely nothing. The person shipping cargo (in our case the boat owner) is responsible for everything. The captain of the ship could crash his ship into another vessel and we would be responsible based based on a % of our boat value. In addition to this, the shipper has the authority to jettison our boat overboard to save the ship if the ship is in danger of being lost. The shipper also has the right to unload and load our boat at any port and for any amount of time. There is no guarantee to either the shipping date or arrival date. In addition, our boat insurance policy will not cover Idyll Time once she is loaded onto the ship. To cover all of these liabilities, the shipping company furnishes us with a separate insurance policy while our boat is in their care. You would need a maritime lawyer to understand all of the language in both the shipping contract and insurance policy. Our initial reaction was refusal to sign such an agreement. After talking with all three shippers and other boaters, we learned that there is no other option but to sign and hope everything goes well. It is a strange industry. Adding to our heightened anxiety, several years ago another shipper declared bankruptcy while transporting yachts from Victoria to West Palm. 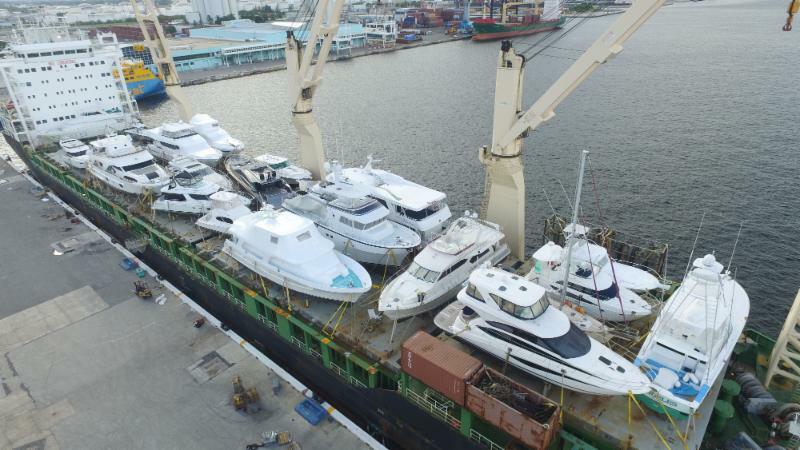 Upon arrival in West Palm, all of the yachts were seized per bankruptcy court order. The yacht shipping broker had collected all of the money from the boat owners but had not paid the ship owner. To get their boats back, each owner had to pay the shipping fee again to the bankruptcy court. Unfortunately, there is nothing that would prevent this from happing again today. This was the main reason that we chose Seven Star. They have been in business for many years and have a very good reputation. Their parent company owns many of the ships that they use. They were not the cheapest nor the highest in price. Our main focus was to get Idyll Time to the PNW in a timely fashion and safely. We feel very good about using Seven Star. We have been given a revised shipping window of April 20-30 th. Of course this could change. We just have to be patient. Once the ship is named, we will have more concrete information. A few days before loading, we will move the boat to West Palm Beach, only a one day trip from Stuart. Nate and Primo will stay here in Stuart at Birdie Day Care while we load Idyll Time on the ship. We considered shrink wrapping the boat but after talking with other folks that have shipped, we decided against that. Everything outside will be secured or brought inside the cabin. All power will be shut off for the transit so we must empty the refrigerator also. We will secure everything inside and tape all cabinets shut so they can’t pop open. We are also required to empty all water tanks and have no more than 1/3 fuel in the boat. As the load date nears, we will be given a loading time and you certainly don’t want to be late. There is a penalty of $15,000 per day if you hold up the ship. Rest assured, we will be ahead of time. This entry was posted on April 9, 2017 at 11:53 am. You can follow any responses to this entry through the RSS 2.0 feed. You can leave a response, or trackback from your own site.